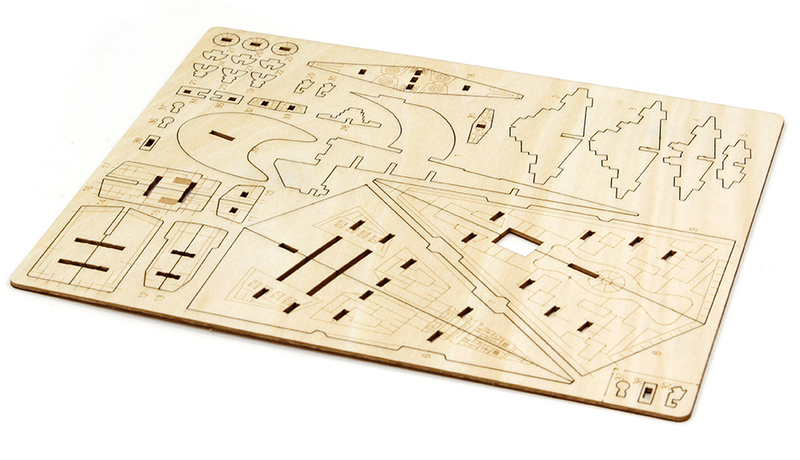 Build and customize the Galactic Empire’s infamous capital ship with this interactive Star Wars wood model set. This set includes a 32-page booklet that gives readers the full run-down on the evolution of the Star Destroyer. The ship’s full technical capabilities are explored through fascinating facts and exciting imagery, and amazing behind-the-scenes information illuminates how the filmmakers behind the Star Wars saga brought Star Destroyers to the screen throughout the years. 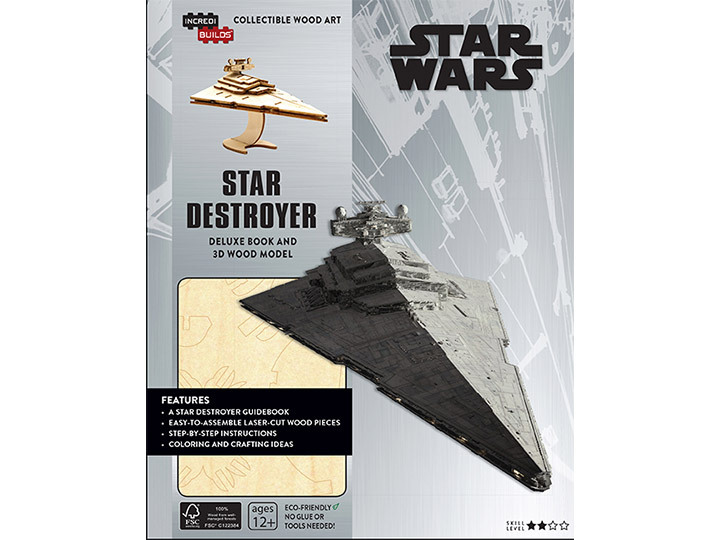 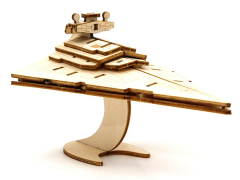 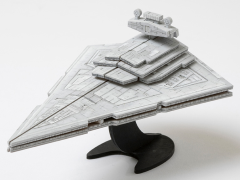 The wood model is easy to assemble and snaps together to form a dynamic displayable version of the Imperial Star Destroyer that fans will love!